Facebook has a new weapon in the battle against Twitter to host lucrative conversations about media. The company on Wednesday said its mobile application will be getting an ear for music, film and television show soundtracks. A kind of Shazam opt-in feature coming to the iOS and Android status composer can activate user’s phone’s microphone. It recognizes a TV show that the user is watching or song he is listening to and tags it in the News Feed post. A 30-second preview of songs or a link to a TV show’s Page is also provided for friends to see. The product Manager, Aryeh Selekman, said, “When writing a status update – if you choose to turn the feature on – you’ll have the option to use your phone’s microphone to identify what song is playing or what show or movie is on TV,”. The information added to posts about recognized TV shows will include which episode was being watched “so you can avoid spoilers,” Selekman said. 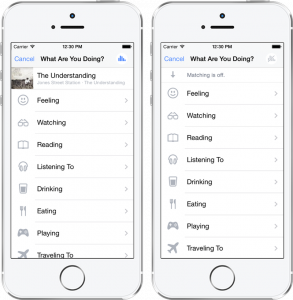 Facebook built the audio recognition feature over the last year and it will roll out to iOS and Android users in the U.S. soon. It is an extension of the feelings and activity sharing option rolled out last year that lives in the little emoticon icon in the status composer. According to Facebook 5 billion posts have used the option to share what you are feeling (example: excited, tired), doing (example: Drinking coffee, playing basketball), or what movie/song/show you are enjoying. 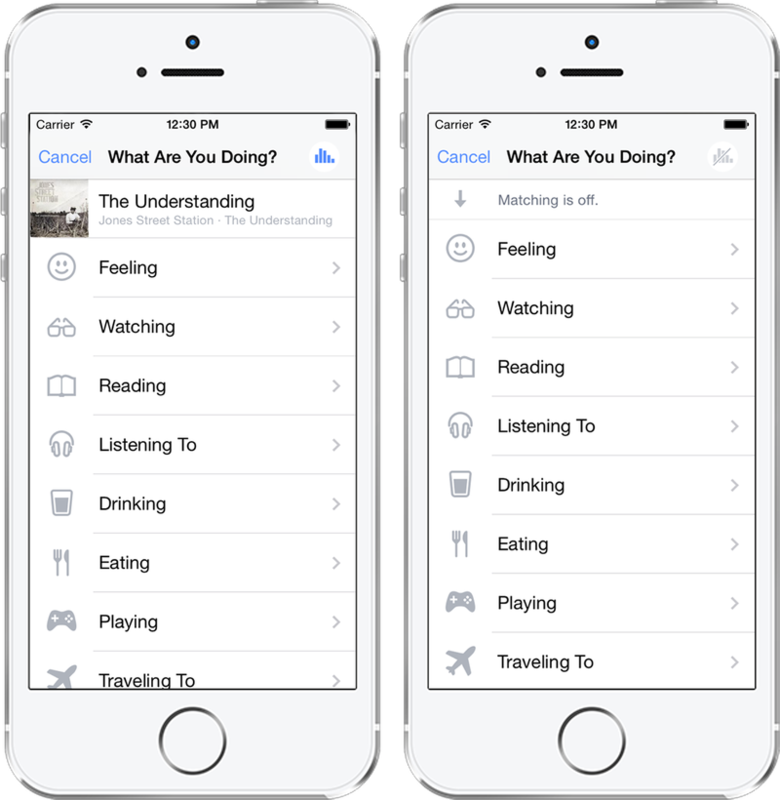 Facebook aims at making the last activity type much easier to share thanks to the audio ID since users won’t have to already know the name of the song or show nor would they have to type it in. If users turn on the feature, they will see a little audio levels indicator when they open the status composer that can identify any of millions of songs or TV shows on 160 channels (U.S.-only). The song or show will then appear in the list of activities you can choose from and can be added to the post with just one click. If users don’t turn it on, nothing will change about their Facebook experience. One shortcoming is that Facebook’s song database is still limited and it cannot identify more obscure or not well-known tracks. It also cannot detect what you’re playing through your phone’s headphones, only what is heard is allowed. The launch could spell trouble for audio ID heavyweights like SoundHound and the industry leader viz. Shazam, which now has 90 million users. Audio ID is Facebook’s second new feature in a month that is opt-in, showing a stronger commitment to privacy. The ability of Facebook to turn on your phone’s microphone is sure to stoke fears that the company is wiretapping everyone. Nevertheless, Facebook says it will only listen for songs and TV, not voices or other background noise, and no recordings will be saved.